1. The Giraffe Manor is a luxurious and exclusive hotel located just outside Kenya's capital, Nairobi, famous for its resident herd of giraffe. 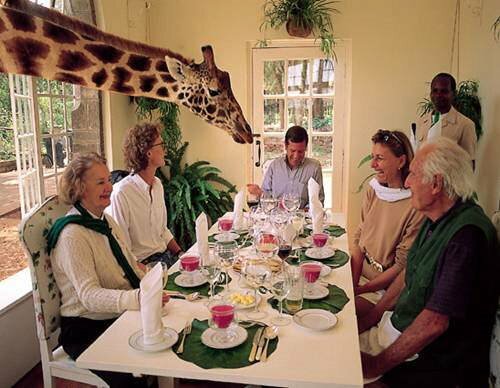 Apart from the top accommodation, you can enjoy Nairobi's finest kitchens and bump heads with a giraffe or two. 2. It's not the comfort you're usually accustomed with, but the dasparkhotel is an innovative hospitality . 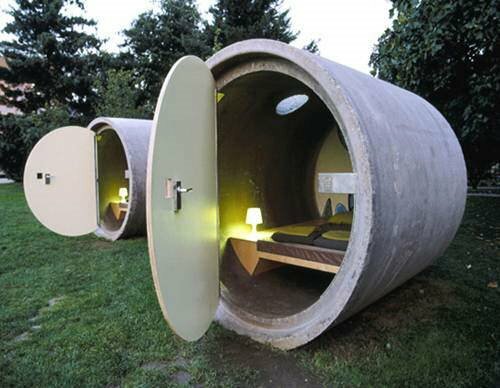 Located in Ottensheim, Austria, the offbeat hotel offers three 10-ton segments of drainage pipe, each 6.5 feet in diameter to stay in. 3. 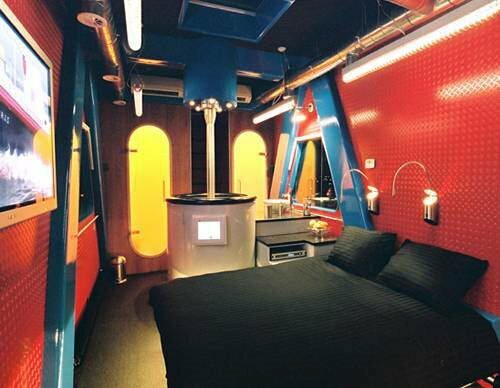 Located in Harlingen, one hour drive from Amsterdam, Netherlands, the Harbour Crane offers you total control over your accommodation. Used until 1996 to unload timber, the crane is now offered for day-time and night-time occupation by two people. 4. 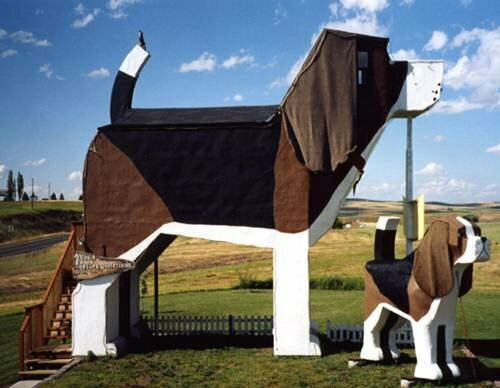 A hotel dog lovers will particularly enjoy, the Dog Bark Park Inn is a hotel located in Cottonwood, Idaho, Some of the decorations and furniture inside the hotel are made by an artist to fit in with the hotel's theme. 6. Mixing Turkish and European influence, the Marmara Antalya , in Antalya, Turkey, is Turkey's most prestigious chain, taking pride in stunning views, great architecture and warm service. The exciting detail is that each of the two dozens room spins slowly so that guest take in the entire view. 7. 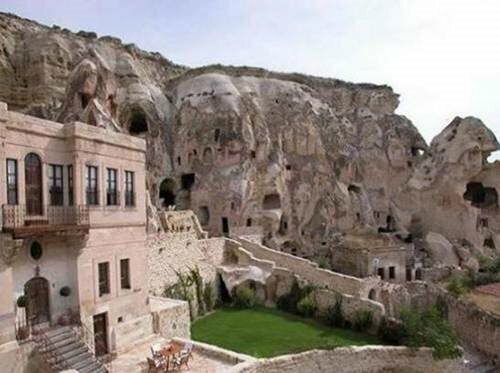 Also located in Turkey is the Cappadocia Hotel, a building literally carved into the Yunak Evleri mountain cliff. It offers cave houses, just like the Flintones had, and a 19th century Greek mansion - complete with 30 rooms dating back to the 5th and 6th century. 8. 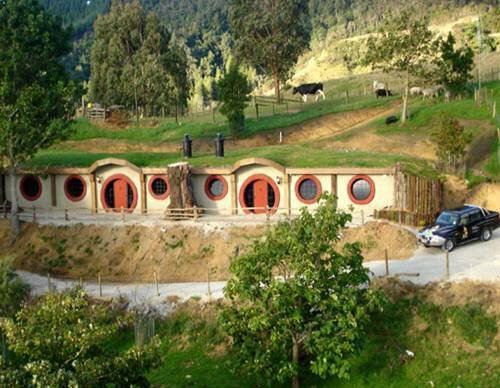 Part of the Woodlyn Park in New Zealand (the Hobbit Motel) is likely the place where hobbits stayed while shooting Lord of The Rings. .
9. 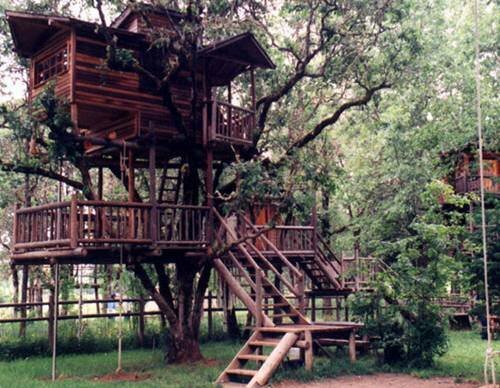 Just outside of Cave Junction, Oregon, the the Out 'n' About Treesort & Treehouse Institute offers 18 tree houses you probably couldn't have dream up as a child. Many rooms have bathrooms and refrigerators. Some are located at an amazing height of 300 feet. Nothing better for a serene vacation than living it up in the woods..
10. Another interesting destination for New Zealand, Christchurch more precisely, is the Wagon Stays . The name says it all: you get to stay in wagons equipped with bathrooms, kitchens, and satellite TV. 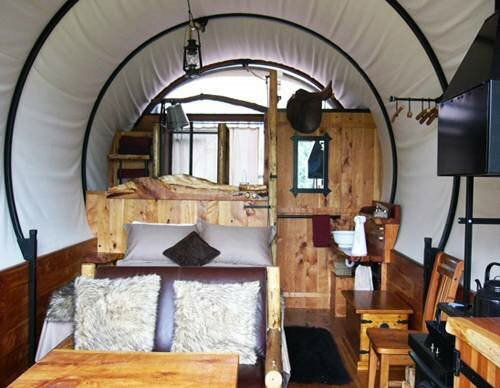 Wagon Stays offers the atmosphere of an early settlers wagon combined with modern facilities to maximize your comfort.